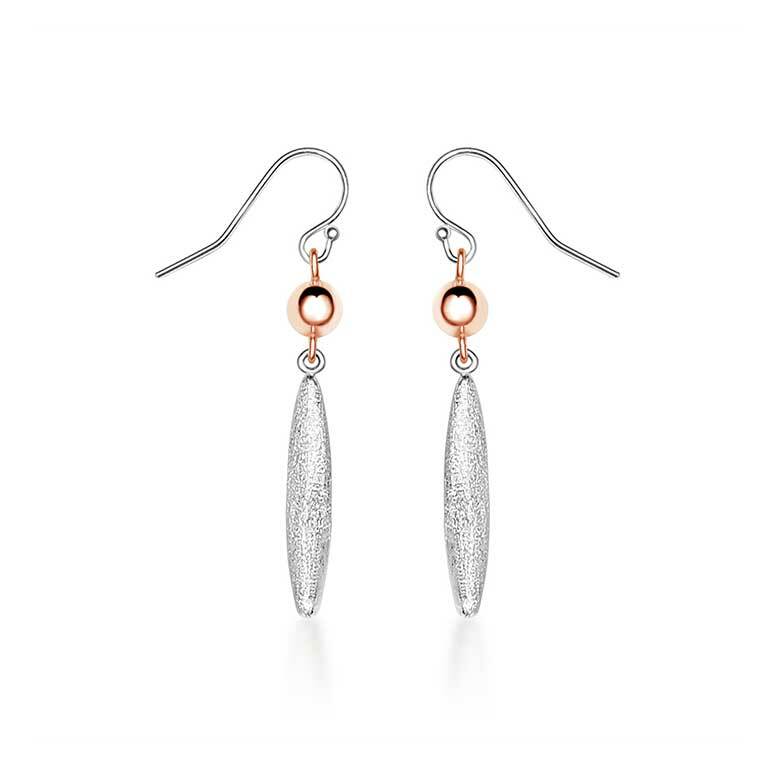 Crafted from the finest solid Sterling silver, these elegant drop dangle earrings consist of elongated frosted ovals topped with rose-gold plated beads that catch the eye. Top tip: these frosted teardrop earrings are a brilliant way to finish off the perfect evening gown, or spice up your casual wear. To complete your distinguished formal look, try wearing these drop-dangle earrings with one of our Sterling silver necklaces.